Two of the three giggly girls are tremendous writers and seem to really enjoy finding creative outlets for their writing. 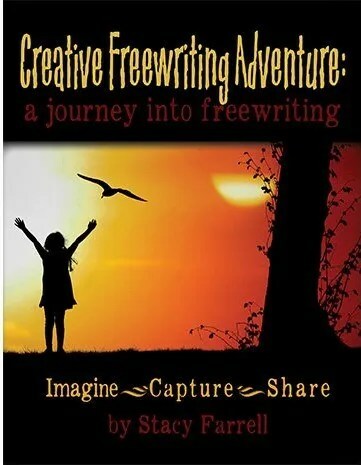 This continuous search for various writing outlets was one of the reason we were interested in the Creative Freewriting Adventure from Home School Adventure Co. We also received a copy of the Creative Freewriting Adventure Coloring Book Edition. Stacy Ferrell is the author of this writing supplement. She has written various curriculums published through Home School Adventure Co, including Philosophy Adventure, Walking with the Waodani, Celebrating Manhood: a rite of passage guide, and I’d Rather Be Your Mommy. Creative Freewriting Adventure was developed as a supplemental writing program to complement various other programs published by the company, including The Wise Woman with Analysis Journal, Philosophy Adventure, and Mere Christianity Critical Analysis Journal. The idea was to give the students some opportunities for fun, creative writing in the midst of a longer-term, more intensive writing project. This program contains 10 exercises, some of which actually have two writing activities. Each exercise begins with some background information, a descriptive scene (titled Your Journey), and Your Assignment. The exercises include the philosophers Thales, Pythagoras, Xenophanes, and Democritus. There are four exercises on The Wise Woman. The final two exercises are centered a bit more on themes from Mere Christianity. After the student has read the information and Your Journey, the Your Assignment part takes them into the writing. These are a series of questions designed to jog the student’s memory, give them ideas and help them find ways to increase the descriptiveness of their writing. Then, a timer is set for 15 minutes and the writing begins. At 15 minutes, the exercise is over. If the girls were on a roll, I never stopped them at 15 minutes. They wanted to finish the story that was running in their heads, so I let them. This quick but creative process is what I thought would appeal greatly to my girls. I was mistaken here. While some of the prompts worked really well (Thales falling in a well and the one with talking animals), others were complete dead ends for the girls. We tried several of them more than once with a break in between. It was just a no-go. I believe that these did not work as well for the girls because they like to write and they write often. They are so creative that they felt boxed in by the prompts and they felt like many of the exercises ended the story rather than giving them an opening for continuing the story. The background information was where we got the most joy from these lessons. Miss E has been studying Ancient Greece and the first four exercises include some information on some of the Greek philosophers. This was pretty fascinating for her (and me). It was also fun for us to revisit some of the story of The Wise Woman, which we reviewed a couple of years ago. 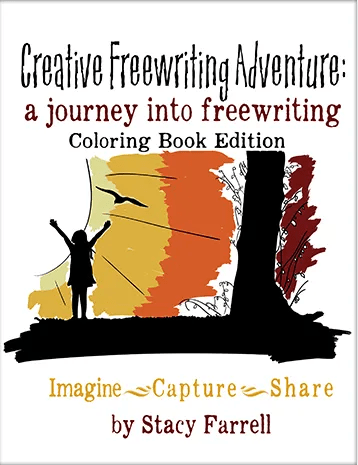 We received PDF downloads of both the Creative Freewriting Adventure and the Creative Freewriting Adventure Coloring Book Edition. There is very little difference between the two. They both include the same written information and printable pages for doing the creative writing assignment on. The coloring book edition also includes a coloring page for each of the exercises. If you have an older student who needs some ideas for writing, some prompts, or some questions to help them get more creative and descriptive in their writing, this might be a good supplement for you to look at. 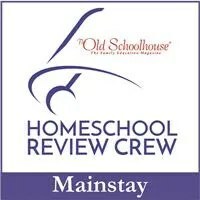 Homeschool Review Crew families have been using the Creative Freewriting Adventure, Walking with the Waodani, Celebrating Manhood, and I’d Rather Be Your Mommy. Click the banner below to read more reviews. so, for students that do well with prompts, this would be a good program I think yes? I imagine so, Annette, though it is very different from just a prompt since it includes a page or two of background information and story set-ups.